In last September’s New York Times Magazine Mark Bittman wrote an article called Bye,Bye, American Pie. 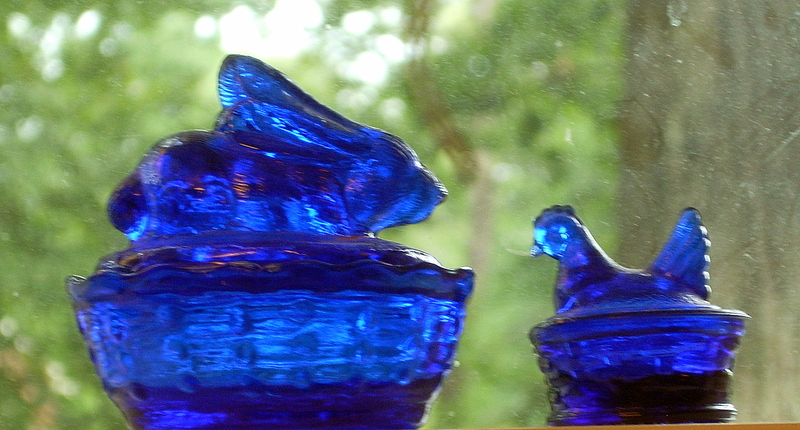 No it wasn’t the impetus for this post, but it is a good read. This post takes inspiration from the farmers where I have been vacationing until a few hours ago: the farmers of Eastern Long Island, NY. 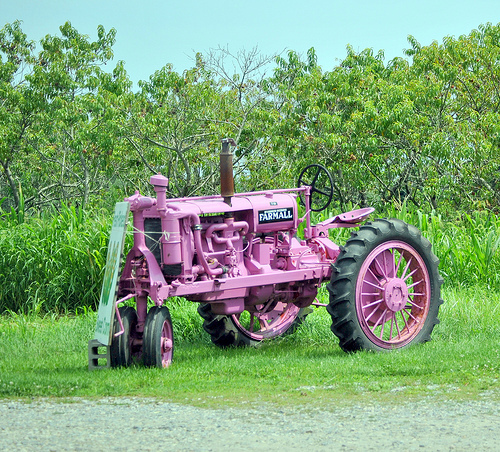 One farm in particular called Balsam Farms in Amagansett. I feel like I have been cheating on my favorite Chester County Farmers, but I have to tell you the produce I bought while on vacation is truly amazing. I think there is something with the fertile yet sandy soil that makes a difference. Seriously, and it sounds like sacrilege, but the tomatoes I have had kick the rear of Jersey tomatoes. And another interesting thing to note is in a lot of cases this organic produce I have been purchasing is less money than some of what I buy locally in Chester County. 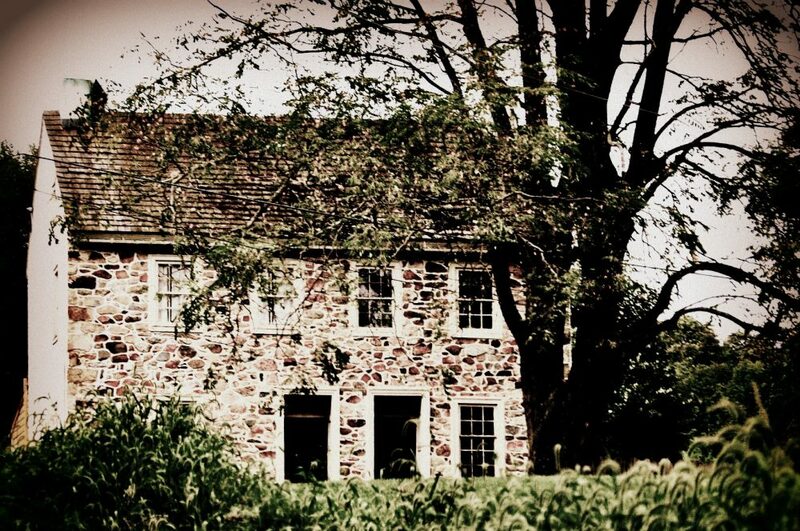 I figure that is well worth mentioning since everything having to do with the Hamptons is equated with super expensive. So this pie is all mine oh me oh my. The recipe is not an exact science, and I am trying to get better with that. Mix all dry ingredients. Cut in butter after cutting butter into teeny pieces. Incorporate butter into dry ingredients until little crumbs are formed. Add the water. Bring it all together into a ball of dough that is not over-mixed, wrap well in plastic wrap so it is air-tight and refrigerate for 2 hours. As you are getting ready to bring your dough out, pre-heat oven to 350 degrees. After the crust is sufficiently chill, roll out between sheets of plastic wrap lightly dusted with flour. 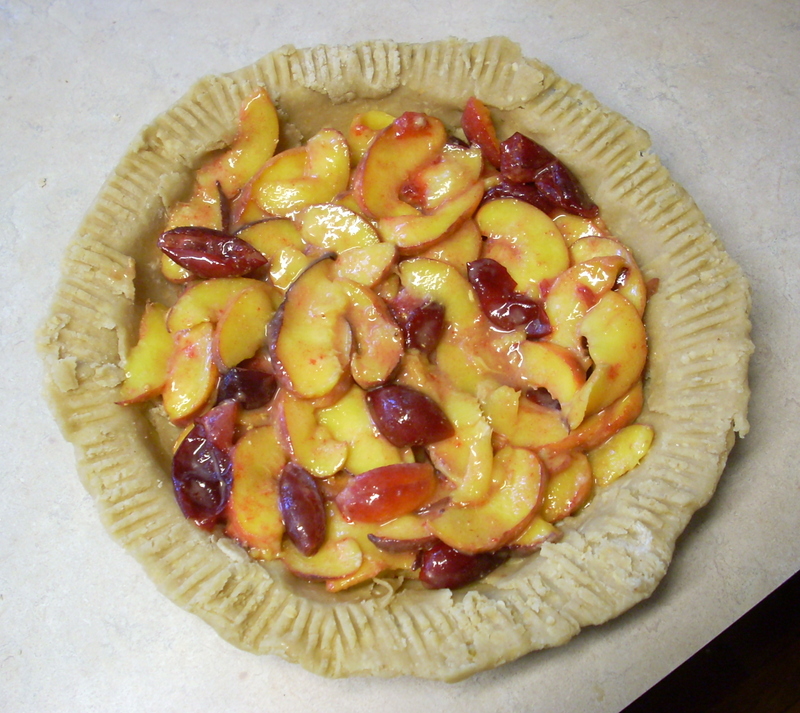 Place crust carefully in a pie plate – I guess mine is a 9 inch – I have vintage glass pie plates and this was one that was shallow as opposed to deep crust. Fix your edge of the crust by gently crimping with a fork and put crust in pan back in refrigerator to stay cool while you assemble the filling and streusel topping. Slice up the fruit into thin slices. Sprinkle a little lemon juice over them to keep them from turning brown and toss gently with sugar, corn starch, flour, spices. Set aside. 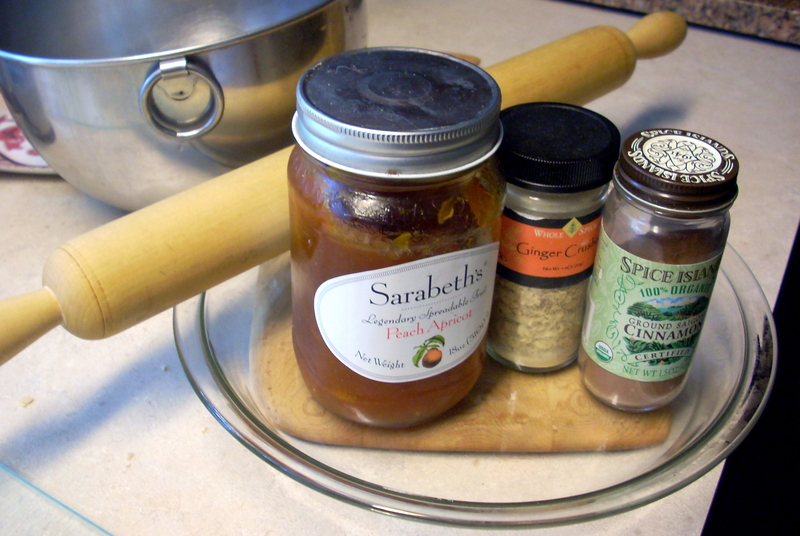 Mix all the stuff together for the streusel topping in a small bowl until uniform crumbs are formed. Set aside. Remove crust from fridge and pour fruit gently and evenly into crust. Dot fruit filling with dabs of preserves. You aren’t completely covering the top with preserves, you are dotting. Evenly distribute streusel topping over this and bake for approximately 35 to 45 minutes at 350 degrees depending upon your oven. You may wish to create foil “hood” to cover crust edge so it doesn’t burn. 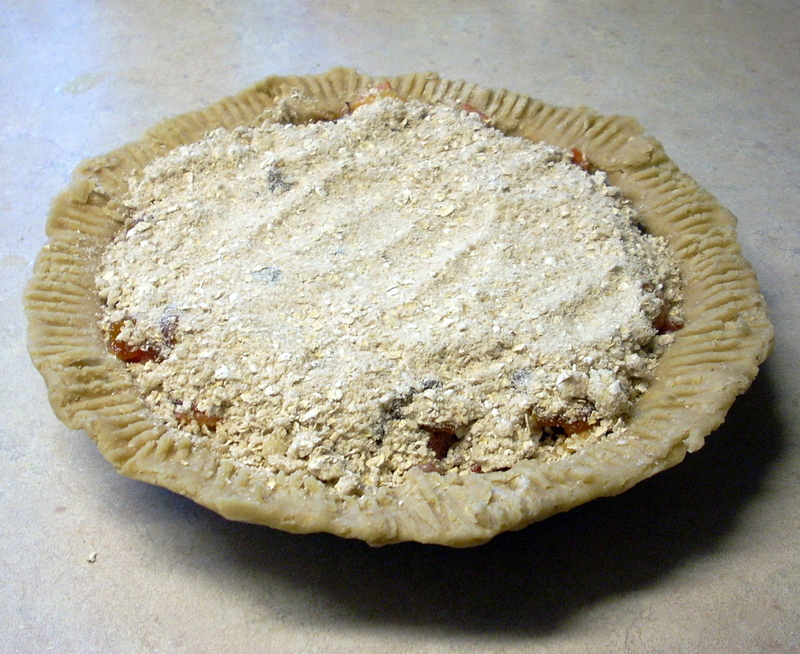 Cool pie before serving on a counter or table or wherever it can cool off unmolested by pets or humans. Serve with whipped cream sweetened with honey and ginger or vanilla ice cream. Refrigerate leftovers. 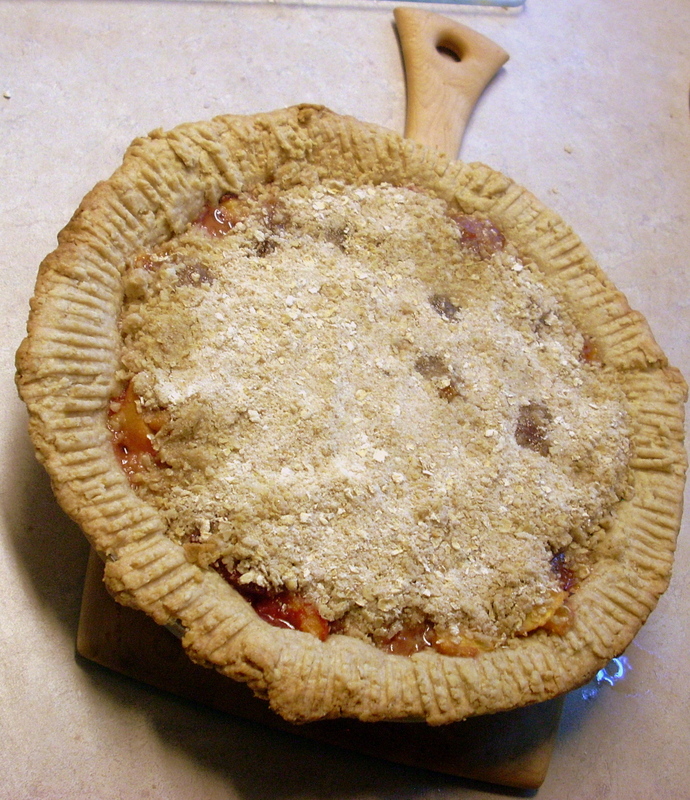 This entry was posted in recipes and tagged Amagansett, Balsam Farms, chester county, farm fresh, fresh produce, Long Island, pa, peach apricot pie, recipe, The Hamptons by carla. Bookmark the permalink.